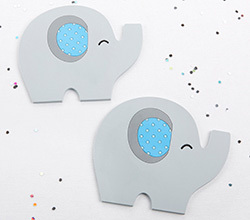 Quantity : How many sets of 2? Your baby shower or birthday party guests are sure to go nutty over these great thank you favors from Kate Aspen! 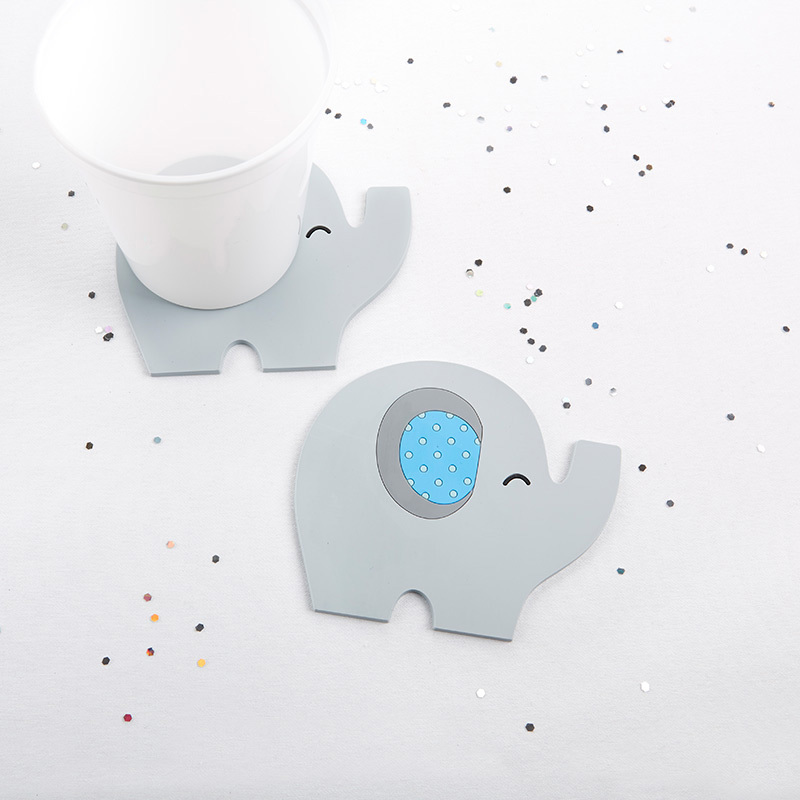 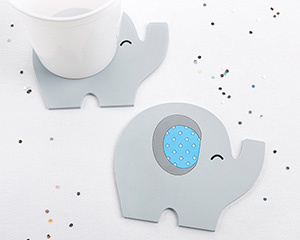 Featuring super cute blue and white polka dotted ears, these grey elephant-shaped coasters are a fun and functional way to treat your loved ones!